Looking for the perfect Valentine? Whether you're single, just dating, or in a relationship, find the perfect match inside the creative Eataly gift guide! From high-quality ingredients to premium Italian wines and housemade pastries, our marketplace has everything you need to enjoy (or survive) the special day. Looking for the perfect Valentine? 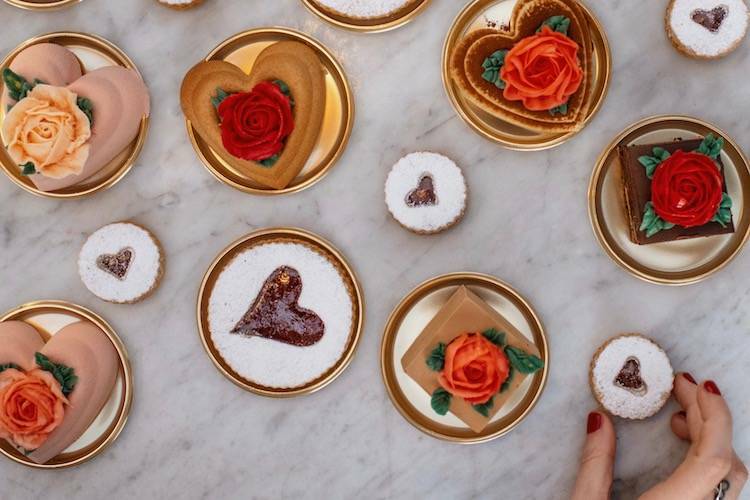 Whether you're single, just dating, or in a relationship, find the perfect match with our creative Eataly gift guide! From high-quality ingredients to premium Italian wines and housemade pastries, our marketplace has everything you need to enjoy (or survive) the special day. Man or woman, there's no better way to someone's heart than through their stomach. Plus, as Italians, we can't think of any other way to express our love when through our love of food! Surprise your significant other with a special dinner at home Pick up a few simple but high-quality ingredients from our market, from delicate fresh pasta to rich grilled steak. Trust us: the flavors speak for themselves. Pro tip: Don't forget a bouquet of fresh flowers on your way out! You can find them in our product department. Love caviar but worried about how it's sourced? Commit long-term and show your partner you really care by buying from one of the most sustainable, high-quality caviar farms in the world. Calvisius is a fully-integrated Italian caviar farm that produces nearly 25 tons of eggs per year from endangered sturgeons using sustainable methods that save the fish — and deepen the flavor. How should you enjoy it? We've got plenty of ideas here, but according to one Calvisius expert, all you need are "two Mother of Pearl spoons and a glass of sparkling wine." Give the gift of artisanal cioccolati italiani in a decadent box by Venchi. Made by artisanal chocolatiers in Italy, our chocolates offer rich, complex flavors that will express your rich, complex feelings on Valentine’s Day. Wine helps with those complex feelings, too. Brought to you by centuries of tradition, our premium Italian wines promise to make you feel toasty over the long winter nights. Swing by your local Eataly wine shop to pick up our experts' top picks for the most romantic day of the year (Tip: Learn more about our wine of the month: Brunello di Montalcino). Made with the finest ingredients from Italy like pistachios from Sicily and hazelnuts from Piemonte, our pastry team's intricate works of art include heart-shaped pastries, full cakes, special filled-to-order cannoli. Swing by our pastry counter to pick out your favorites! Nothing says love like quality time spent together in the kitchen! Explore the upcoming class calendar at your local Eataly to discover our variety of events, from hands-on cooking classes to guided wine tastingswith our chefs and experts. Reserve your seat online, then present your surprise your loved one with the news on the big day. All it takes a few clicks – we'll handle the rest (yes, even the dishes).